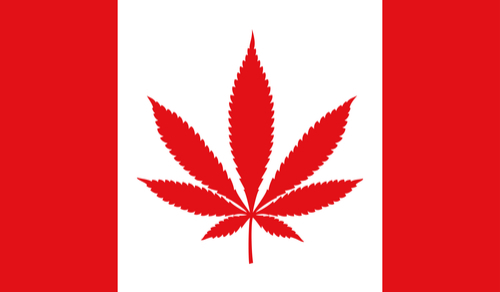 With October 17th quickly approaching, Canada is getting ready for its first day of fully legalized cannabis sales. According to New Frontier Data, Canada’s market size alone is expected to expand to USD 6 Billion by 2025. The climbing valuation is clearly enticing to many as 120 licenses have already been issued across the country and even more have been rejected. With the enormous potential of the market, some of the larger cannabis companies are turning to the stock market to help fund their rapid growth. Tilray Inc. (NASDAQ: TLRY), one of the Canadian companies to IPO in the United States, opened at USD 23.05 on July 19th, then went on to hit USD 214.06 on September 19th. In Canada, The Green Organic Dutchman (TSE: TGOD) opened at CAD 2.50 on May 2nd. It then reached a high of CAD 8.78 just four months later, on September 20th. Another example of the craze around the cannabis market is the news that U.S. beverage makers like Constellation Brands, Inc. (NYSE: STZ) and Molson Coors Brewing Company (NYSE: TAP) have already expressed interest in branching out to Canadian companies and creating cannabis-infused drinks. With the various offerings that Biome Grow is working on making operational, it is set to compete in the constantly growing market. Would you agree it’s possible there are more large companies looking at how to invest in Canadian cannabis then there is viable investment/buyout candidates? There would be no problem with cannabis availability if every city, town, village were allowed dispensaries and every Canadian were permitted to grow, sell, and be involved in the industry. Priority should have been farmers and existing dispensaries.